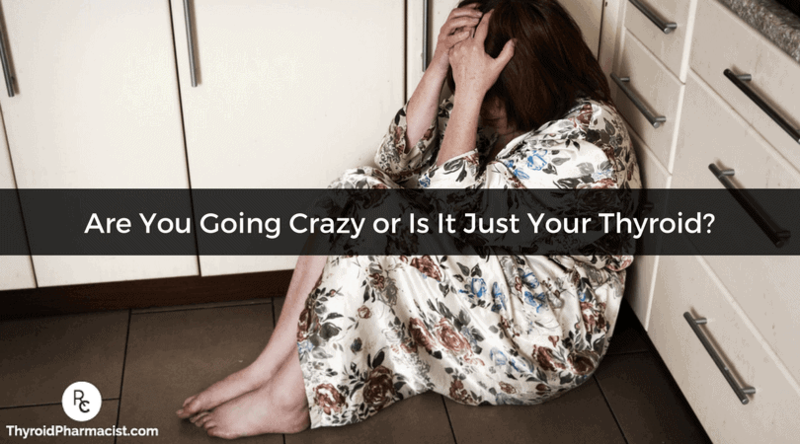 Are You Going Crazy or Is It Just Your Thyroid? I wanted to take time out to write this post as I’ve been getting quite a few questions regarding the connection between Hashimoto’s and mood. Some people have asked if their depression or anxiety or irritability could be related to Hashimoto’s and my answer is: Absolutely! When the thyroid is attacked by the immune system, this results in thyroid cell breakdown. The hormone that is normally stored in the cells gets rapidly released into the blood stream causing a transient hyperthyroidism known as thyrotoxicosis or Hashitoxicosis (yes a real word)! Irritability and anxiety are common symptoms of hyperthyroidism. Once the extra hormone gets cleared out a resulting hypothyroidism with the symptoms of apathy and depression can result. Check out my blog post titled Symptoms of Impaired Thyroid Function for common symptoms of both. As many thyroid symptoms are very non-specific, they are often disregarded by the medical community in the initial stages. Patients are dismissed with having depression, stress or anxiety. Thyroid patients are prescribed anti-depressants or anti-anxiety medications without consideration of thyroid function. Medical studies have shown that up to one-third of people who fail antidepressants report feeling better once started on Cytomel® (a T3, thyroid hormone). (1) Some patients have even been hospitalized and misdiagnosed as having bipolar disorder or schizophrenia when in fact they were suffering from thyroid imbalances. High titer of TPO antibodies has been associated with distress, obsessive-compulsive symptoms, and anxiety (1). This is likely as a result of increased amount of thyroid hormone being rushed into the bloodstream causing a transient hyperthyroidism, anyone who has experienced symptoms of hyperthyroidism can describe how terrible this feels. 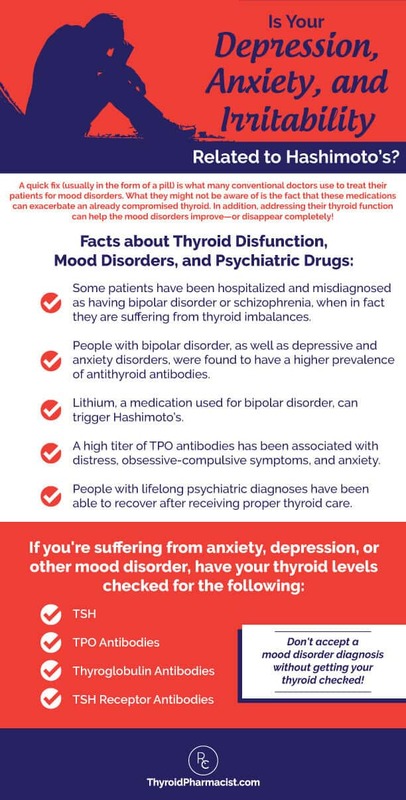 People with anxiety, depression or other mood disorder should have their thyroid function checked, especially TSH, TPO Antibodies and Thyroglobulin Antibodies and TSH receptor antibodies. People with lifelong psychiatric diagnoses have been able to recover after receiving proper thyroid care (2). During my work as a consultant pharmacist, I saw quite a few patients who were hospitalized for psychosis later to be found to be suffering from hyperthyroidism and a patient who was found to have under-treated hypothyroidism after being hospitalized for treatment-resistant depression. From my personal experience, Hashi’s made me feel like I was going crazy! I would wake up at night alarmed every time my husband would cough, move or turn over. During the day I felt panicky and thought the world was ending, that everyone was against me and nearly jumped out of my seat if someone came to my office at work and surprised me! I was extremely anxious, jittery, emotional and irritable! This was new to me…I used to be mellow and laid back and slept like a log every night for most of my life. Working in mental health, I wondered if something was seriously wrong with me or if I had developed a new onset panic disorder. 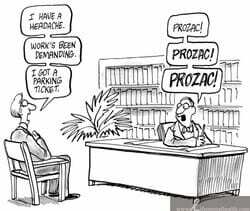 I went to the doctor, describing my symptoms and asked for a complete physical, instead, I was offered…you guessed it Prozac! While Prozac has helped millions of people with depression, OCD, and other conditions, as a pharmacist, I am a big proponent of appropriate medication use and believe organic causes need to be explored first, so I continued on my quest with another doctor. Shortly after, I learned that my TPO antibodies were in the 2000 range (normal is usually <30)! After starting thyroid medications, taking Selenium, and balancing my blood sugar, my anxiety started to stabilize. Over the course of two years I made additional changes to my diet and supplement regimen, and now I’m the old me once again, cool as a cucumber 🙂 I won’t get started on the diet issue in relation to mood today (I would be here all night) but will talk more about it in future posts. Hope that helps, and know that there is hope for feeling better! Carta M, Loviselli A, Hardoy M et al. The link between thyroid autoimmunity (antithyroid peroxidase autoantibodies) with anxiety and mood disorders in the community: a field of interest for public health in the future. BMC Psychiatry. 2004;4(1). doi:10.1186/1471-244x-4-25. Cooper R, Lerer B. [The use of thyroid hormones in the treatment of depression]. Harefuah. 2010:529-34, 550, 549. Barbesino G. Drugs Affecting Thyroid Function. Thyroid. 2010;20(7):763-770. doi:10.1089/thy.2010.1635. Gaynes B, Rush A, Trivedi M, Wisniewski S, Spencer D, Fava M. The STAR*D study: treating depression in the real world. Cleveland Clinic Journal of Medicine. 2008;75(1):57-66. doi:10.3949/ccjm.75.1.57. Yes i have to agree,someone who actually understands,well done.My partner and her family just didnt understand what i was going through,i didnt have an illness to them,it didnt exist,it was just me being awkward and spoiling for a fight.I am so glad i came across this post as i have just asked my partner to read this and now she fully understands.Thank you a million times,really looking forward to your next post. Awesome effort……..so looking forward to rreading more ! From a fellow suffer of 20 years. Glad to share! Wishing you all of the best as you continue to work towards better health! I feel like this also. After two years with the same doctor and no change in me I am desperate for a new doctor who might do more than just make tiny changes in my meds that don’t seem to help. But how do you find a doctor who will look at everything? HI Beverly, while doctors can help, please know that the push to get better has to come from you, so be sure to learn as much as you can and be your own health advocate. I had a wonderful doctor, but I still did my own research, and even ordered my own lab tests. No one is more motivated to get better than you, the person who is not feeling well. Be sure to check out my book, it is a summary of three years of research of things I did to get myself well. Mikaa – thank you for following this page. I highly recommend that you work with a functional medicine clinician. It’s an entire medical specialty dedicated to finding and treating underlying causes and prevention of serious chronic disease rather than disease symptoms. Thank u for posting this I am going through hell after my thyroidectomy and found this to be a little comforting. Thanks Amy, wishing you all the best in your healing journey! New to your site. Can I ask what kind of doctor you went to to find answers. 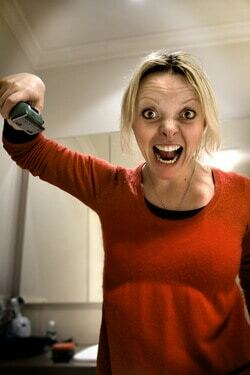 I have known issues ie a hormone imbalance but I also have other symptoms that freaky impact my life. The biggest of which is exhaustion and fatigue but go on with extreme gum recession, anxiety etc. regular dr says nothing is wrong. Been seeing a naturopath who has tried to help with hooned but says thyroid looks just fine. I want to solve the problem not treat the symptoms unjust font know who I should go see. Val- I highly recommend that you work with a functional medicine clinician. It’s a whole medical specialty dedicated to finding and treating underlying causes and prevention of serious chronic disease rather than disease symptoms. I was diagnosed with Graves or Hashimoto’s, they never figured it out. Since I didn’t want to take typical meds I went to a natural doctor and followed Natural Treatment Solutions for Hyperthyroidism and Graves’ Disease from Eric M. Osansky (book) and went to a natural doctor as well as my endocrinologist just to keep the orthodox doctor check. I had my antibodies in 15,000. Let me tell you that I didn’t take meds, only supplements and in 9 months I’m back to normal again. Did major changes in my life. Now I’m vegan and eat all I can organic, do yoga 5 times a week and meditate every day. Change can happen naturally. Alejandra- Graves and Hashimoto’s are both autoimmune conditions that affect the thyroid. They are thought to be closely related. Sometimes one turns into the other. The difference is the site of the antibody attack. In Hashimoto’s, the antibodies are found to thyroglobulin (in 80%) and thyroid peroxidase (TPO) enzyme (in 95% of people)-Hashimoto’s results in hypothyroidism and is usually treated with Synthroid and replacement hormone. I was diagnosed with Graves 20 years ago. After 3 years of “treatment”, meaning medicine. Next up was radioactive iodine. I have been on synthroid since. I have been experiencing mood swings and can be completely irrational and very emotional. I am not normally like this at all. Like you, I’m usually very laid back. A few wells ago I was experiencing extreme fatigue. I was falling asleep at my desk while working. Taking 2 hour naps after work, or sometimes I would go straight to bed after work and sleep until the next morning. Only to feel exhausted the entire day. I went to the doctor and they ordered a complete panel of blood work (their words, as I have no idea what that entails). TSH came back normal. I pleaded and asked him to run more tests. He refused. Said there is nothing wrong with me physically and recommended that I make an appointment with a psychiatrist. I wanted to scream, but thought that would be frowned upon. So here I am, still no answers. Luckily, the extreme fatigue has subsided a little. Enough for me to function at work. I’m also looking for a new doctor! Deanna – thank you for following this page. Graves and Hashimoto’s are both autoimmune conditions that affect the thyroid. They are thought to be closely related. Sometimes one turns into the other. The difference is the site of the antibody attack. In Hashimoto’s, the antibodies are found to thyroglobulin (in 80%) and thyroid peroxidase (TPO) enzyme (in 95% of people)-Hashimoto’s results in hypothyroidism and is usually treated with Synthroid and replacement hormone. Wow. Sorry to hear of your experience! I’m a research psychologist not clinical – so I cannot comment on the individuals response – but I have also taught psychology courses. One section of the DSM manually specifically states that other causes should be ruled out before dispensing a diagnoses. Apparently this was not done (of course if your TSH levels were normal, you would have still been offered prozac lol. I had to pay for my own tests to diagnose my hashis as well, as I was always ‘normal’ in my tests negating the fact I have hypo symptoms). Kris- Thyroid tissue can regenerate, but the rate at which it does is not always predictable. Thus, some are able to stop the autoimmune attack on their thyroid and regain normal thyroid function. Others can reduce the dose of medications, and others will need to stay on the medications indefinitely. I’m currently working on some protocols to help with tissue regeneration. Gwen- Hair loss is a distressing symptom experienced by women with Hashimoto’s. For women, our hair represents our femininity, and losing our hair is a constant reminder that something is off and that we are not well. Have you read these articles? I wish I could figure out if you accept Medicare Advantage. How to do that? This is really interesting! I am on the downward end of a horrible case of what I thought was PPD (I have a 7 month old). I was so angry all the time and was having horrible anxiety when the depression set in. It got to the point that I wasn’t handling life well at all. My dr prescribed me Zoloft and talk therapy but I never filled the order. I just KNOW there is something more to this. I decided to wean my daughter in hopes that it would help balance my hormones and within DAYS of weaning her I felt a DRASTIC difference in my mental state. The panic, irritability… everything was just gone! The same thing happened when I weaned my son. I started looking into thyroid issues bc I noticed my basal body temp is crazy low (which can be a sign of thyroid issues!). I see my OB/GYN on Tuesday for what was suppose to be a “follow up” for starting antidepressants. I want to ask her about this and was hoping you guys could help me out and possibly suggest things to talk to her about in regards to thyroid issues/adrenal issues and what tests we can take to see if there is something going on. Curious what you think about the drastic drop in symptoms. On a possible related note, I dropped weight like crazy breastfeeding and I am at a really low weight. I am tired all the time (but I have 3 small children) and during my pregnancies I have the episodes of what I feel like is low blood sugar but my blood sugar and blood pressure are always perfect! Lori- Anxiety symptoms are very common in people with thyroid disorders. Thank you for posting this. I was diagnosed with having bipolar and given Lithium. I kept telling my psychiatrist something was really wrong, so he would increase my Lithium. I went to the family doctor and they told me to see my psychiatrist. After a year, I finally went to a different doctor and at that time they tested my thyroid. My TSH was 386. I found out later that the psychiatrist knew that I had a thyroid problem because the initial bloodwork he did on me said my TSH was 15. I know that I am not and have never been bipolar. I’m so grateful to see all of this information you are putting out there now. Lacy- I am so sorry to hear about everything you have gone through. I look forward to hearing your progress on this page! Most people will see a dramatic reduction in gut symptoms, brain symptoms, skin breakouts and pain by eliminating the foods they are sensitive to. Some will also see a significant reduction in thyroid antibodies! An additional subset of people, will actually be able to get their Hashimoto’s into complete remission just by getting off the foods they react to, normalizing their thyroid antibodies, and some even normalizing their thyroid function! Here are a couple of articles you may find helpful. Where do you practice? I had papillary Thyroid cancer stage 2, thyroid removed, found out I also had hashmotos after surgery. I’m desperate to find a do tor that may be able to help my depression . Anxiety issues, I’m convinced this isn’t the best I can feel. Please help!! Amamda- Most thyroid conditions result from the immune system attacking the thyroid because the immune system is out of balance. Even when the thyroid is taken out surgically, is ‘dead’, or treated with radioactive iodine the autoimmunity still persists in most cases. Many people will have their thyroids removed, and will develop new autoimmune disorders such as Lupus, Rheumatoid arthritis, etc. The immune system just finds a different target. We need to re-balance the immune system to prevent this (sometimes the autoimmunity can be reversed as well). The gut determines your immune system. With the exception of discussing proper thyroid medication dosing, the majority of my website and my book focuses on balancing the immune system. The info I present is based on my own research and journey for overcoming my autoimmune thyroid condition. I would love to have more info on anxiety and depression, I had thyroid cancer, papillary stage 2. In pathology found out u had Hashimotos disease as well. Do you practice in Houston? Amanda- thank you very much for your inquiry. I do provide a limited number of consultations, however, my consultative schedule is all full at the moment. I have a 12 week online program called Hacking Hashimoto’s that covers all of the strategies that I go through with my one-on-one clients, in a self-paced format, so that participants have access to all of the things I’ve learned about Hashimoto’s without having to schedule costly consults with me or another practitioner. There are a few requirements that you should pay attention to, such as my book is a required read. In addition, any person that goes through the program will have the opportunity for a follow up consultation with one of my thyroid pharmacist consulting members. I have graves (hyper) and did radioactive iodine in April 2014 (would.not recommend for anyone). Now hypo, tsh 36. Having severe reactions to all synthetic thyroid meds ( heart racing, palpitations, blood pressure 40 pts higher, restless legs, tingling, freaking out feeling even on .125 mg (12.5 mcg). Current endocrinologist blows me off. Naturopath started me on infant dose of natural desiccated yesterday. Same issues. New endo told me some people cant tolerate any thyroid meds, synthetic or natural. She has had to put patients on valium and beta blockers to help with thyroid meds side effects. I am scared and dont know where to turn. Has anyone had similar issues? Any supplements I should take, tests done? I am starting on selenium today, per dr.
Peg- Most thyroid conditions result from the immune system attacking the thyroid because the immune system is out of balance. Even when the thyroid is taken out surgically, is ‘dead’, or treated with radioactive iodine the autoimmunity still persists in most cases. Many people will have their thyroids removed, and will develop new autoimmune disorders such as Lupus, Rheumatoid arthritis, etc. The immune system just finds a different target. We need to re-balance the immune system to prevent this (sometimes the autoimmunity can be reversed as well). The gut determines your immune system. With the exception of discussing proper thyroid medication dosing, the majority of my website and my book focuses on balancing the immune system. The info I present is based on my own research and journey for overcoming my autoimmune thyroid condition. I am so glad that I found this blog. I have Hashimoto’s, and even though my labs are pretty normal with Levothyroxine, my anxiety has gotten worse since I started the medication. I have had anxiety since I was 25, (now 41) but I have had to up all my anxiety medication because my anxiety has been worse lately. I don’t sleep well and I wake up at 4:30 with my heart pounding and anxiousness until I take my medication. My Endocrinologist told me that anxiety had nothing to do with Hashimoto’s, but I believe you!!!! Shannon- Anxiety symptoms are very common in people with thyroid disorders. I have hypothyroid. My doctor says I have no hormones, without giving me an explanation. What does she mean, and what am I supposed to do? Thank you. Carol- I highly recommend that you work with a functional medicine clinician. It’s a whole medical specialty dedicated to finding and treating underlying causes and prevention of serious chronic disease rather than disease symptoms. You mentioned that Lithium can trigger Hashimoto’s??? I take Pure Encapsulations’ natural mineral Lithium Orotate INSTEAD of an anti-anxiety prescription or anti-depressant. The Lithium Orotate seems to stabilize my moods. I just take 5 mg every morning. My thyroid antibodies are extremely high and have been very high for a year now – no matter how strict I am w/my diet. My endo tries to raise thyroid meds, but my heart can’t handle it. It’s been a rough year. Your comment about lithium worried me. In your opinion, could this be a problem? Linda- Not everyone will need every single supplement! In fact, I believe that most nutrients should come from the diet, this is why I always list food sources for most of the nutrients, vitamins, minerals and probiotics that are depleted in Hashimoto’s in the book and on the blog. However, some may require/prefer supplements and the supplements on the website are a resource for those that do. I recommend getting tested for deficiencies to determine your need for a supplement as instructed in the book and blog. I also don’t recommend starting multiple supplements all at once. I recommend starting one at a time and then adding another a week or so later once it has been confirmed that the first supplement is not causing any harm. Mary- Graves and Hashimoto’s are both autoimmune conditions that affect the thyroid. They are thought to be closely related. Sometimes one turns into the other. The difference is the site of the antibody attack. In Hashimoto’s, the antibodies are found to thyroglobulin (in 80%) and thyroid peroxidase (TPO) enzyme (in 95% of people)-Hashimoto’s results in hypothyroidism and is usually treated with Synthroid and replacement hormone. Amy- Thank you so much for your support! Anxiety symptoms are very common in people with thyroid disorders. Who was your doctor? What state are you in? Hello Izabella Wentz, Thank you so very much for your blog here. You have answered so many of my questions. I also have finally found a doctor back in March of this year who is interested in trying to find out the “Root Cause” of my over 33 year old Thyroid problem. We talk once a month. Anyway, your blogs inform me about a lot of the things that my “new” doctor has also been telling me. Your articles are so in-depth and very insightful. Since I am living and working overseas, I have not been able to get your book sent to me. I’ve been wanting to ask you if you have a Kindle Version of your book available. If not I will have to wait until I am back in the States to buy your book. I do not want to bore anyone with the details of my 33 journey with my thyroid problem. But it has been quite a journey. And as I read others replies above, I realize that my journey is “normal” in terms of what others have had to go through. So that is an encouragement to me, that what I’ve been going through these past 33 years has not been in my head. I only wish that I had known about the Food and other tiggers that are the cause of my thyroid problem. But I am learning about them now and I am looking forward to having and living a much better and healthier and happier life in the coming days and years ahead of me! Much thanks again Dr. Izabella Wentz for your wonderful book and your great blogs. I look forward to reading more of them in the coming days! Best! thank you for all the great information ! when you describe ‘lithium’ trigger , do you mean the medication or the mineral? i have been advised to take a mineral supplement to help brain function by my doctor… thanks! Jill- Not everyone will need every single supplement! In fact, I believe that most nutrients should come from the diet, this is why I always list food sources for most of the nutrients, vitamins, minerals and probiotics that are depleted in Hashimoto’s in the book and on the blog. However, some may require/prefer supplements and the supplements on the website are a resource for those that do. I recommend getting tested for deficiencies to determine your need for a supplement as instructed in the book and blog. I also don’t recommend starting multiple supplements all at once. I recommend starting one at a time and then adding another a week or so later once it has been confirmed that the first supplement is not causing any harm. Thank you for this article. I have been struggling for years, going to doctor after doctor to try to figure out what is wrong with me. I have been labeled a hypochondriac by many and had losses of relationships, been prescribed anti-depressants (that did absolutely nothing) by one doctor and told that there is nothing wrong with me by many others after having almost every test under the sun performed. About 5 or 6 years back, my thyroid antibodies were tested and were extremely high (in the 1500 range), then were tested again 6 months later and were even higher…yet it was dismissed then (“we don’t treat until it turns into hypothyroidism”), and every doctor I have seen since has either dismissed that test or has refused to do it because “thyroid antibodies don’t really mean anything.” Instead, they go by all of my other blood work, which is always “normal.” I feel like a crazy person. I am completely exhausted almost all of the time, I cry over ridiculous things, I am irritated way too often over little things, I stress about simple stuff, everything seems to bother me…even the sound of my children laughing, and some days I just feel indifferent to life in general. This isn’t me! I push through it every single day, trying to be “normal,” but it never really works and the people around me just think something’s wrong with me mentally, but I’ve always felt that it’s something physical that’s going on. At least I know now that maybe I’m really not crazy. While I’m trying to figure out how on earth I’m going to be able to fix this, to take charge of my health, maybe I can at least get those closest to me to read this article and maybe, just maybe, they’ll understand what I’m going through a little better. Kelly- I am so sorry to hear about everything you are going through. When I was first diagnosed with Hashimoto’s, I felt so alone. My doctor didn’t think it was a big deal, and none of my friends or co-workers had it. It wasn’t until I started to research online that I found others who were going through the same thing. Thank you for this. I thought things were getting under control. I was feeling better and had a huge stress induced setback this week. I feel like I’m back to square one. It helps to realize that the stress is causing the Hashis to affect my mood. I needed to hear this. I just purchased your book and yes– it has changed my entire life. From page one your insight has opened an entirely new world for me. Within the last 3 weeks, after reading your booking highlighting the words that spoke to me,reading page after page over and over again because of my brain fog-trying to focus on what I could interpret,I started making changes one day at a time-I am after feeling a remarkable change after 3 weeks. This is after years of misery -(possibility most of my life) When you described your symptoms-this was truly the first time I understood what I was going through, your words gave me hope that I could have my life back. My thyroid results are normal, I was taking anti-depressants ,I had an EKG because I was mortifed I had alzheimers-some mornings I wondered how I was going to get through the day and keep my high pressured job due to brain fog. I now start the mornings with a Root Cause Green Smoothie, I started a gluten-free free diet,I am cooking your recipes and have started using only natural cosmetics ect.I just purchased several supplements from your site selenium,zinc and magnesium. I know I have along way to go,I am committed to theses life changes for the rest of my life- I thank you from the deepest part of my heart your book is truly changing my life-big hug to you! I am really hoping to build a database of testimonials to submit to a medical journal. I would very much love if you submitted your story. You would be helping so many. Would you consider doing this? Thank you for the info and sharing your journey. I’ve been struggling with hormone issues for 14 years now. It began with a diagnosis of Fibromyalgia, Chronic Fatigue and an unknown immune disorder, possibly Lupus. Long story short, I am finding success changing my diet to organic and taking supplements and oils for hormones. What I’d like to know is would there be an order in which each hormone is affected by the other? Should I primarily focus on healing my thyroid and will that help set things straight with estrogen (I’m dominant and have cysts) and balance progesterone. It all seems to be much better but not quite there yet, especially energy. Extreme fatigue still blindsides me. I’m 47, so peri-menopause is a factor.The cysts and heavy periods I’d like to have better managed. Are any of these connections covered in your book? Thank you for your time! Kristina – thank you for following this page. Here is some information you may find interesting. Anxiety symptoms & depression are very common in people with thyroid disorders. I never noticed being overly anxious before two years ago when I randomly had my thyroid numbers checked. My free T3 was slightly low but my antibodies were over 1300. Because my hormone levels weren’t severe my naturopath put me on Thorne Research Thyrocsin and Moducare as well as selenium. A few weeks later I started feeling crazy, super anxious, I couldn’t sleep, I was up worrying. After a little while, I wondered if there was a connection with the new supplements I was taking. I found that some people react this way to high doses of tyrosine so I stopped taking the Thyrocsin and my dr put me on a quarter grain of Nature-throid instead. The problem is I still feel anxious. I compare everything to before this time and now. I would really like to feel normal again. I stay away from gluten and my last bloodwork done in the spring showed everything but my antibodies is normal now. My antibodies had dropped to around 600. I no longer take the Moducare but I do continue to take 200 mcg of selenium. Has my brain just developed a new way of behaving or is there something I am missing that might help? Thank you. Lynette – thank you for following this page. When people have adrenal struggles, we often see that their release of cortisol is altered. People with healthy adrenal function release the most cortisol in the morning. People with impaired adrenal function may wait to release their cortisol at the end of the day. Taking an adrenal adaptogen like the Rootcology Adrenal Support or the Pure Encapsulations Daily Stress Formula in the mornings can help. Additionally, I recommend going to bed before you experience that energy rush. If it comes around 10pm, going to bed around 9pm would greatly help your adrenals. Having Hashimoto’s can feel very stressful. Having out of range thyroid hormones, adrenal fatigue, negative food sensitivities and low nutrient levels can lead to feelings of anxiety, hopelessness and stress. Treating these issues one at a time is the best plan of action. You can recover and regain your health! My new book Hashimoto’s Protocol is a step by step guide to the interventions that helped 80% of the people 80% of the time. I hope you check it out.